As we all know, the 2018 state meet was another outstanding display of some of the best individual and team running. Nobody could predict how things would turn out an if they tried, they couldn't even make it as exciting as it was. The last two years, we've seen the younger classes get faster and faster. Last year's class was very talented and this year's class followed things up with another great class of fast girls. The state meet was littered with freshman and sophomore runners this year. However, when breaking things down, the quality of the state meet seemed to be distributed amongst the different classes almost evenly. 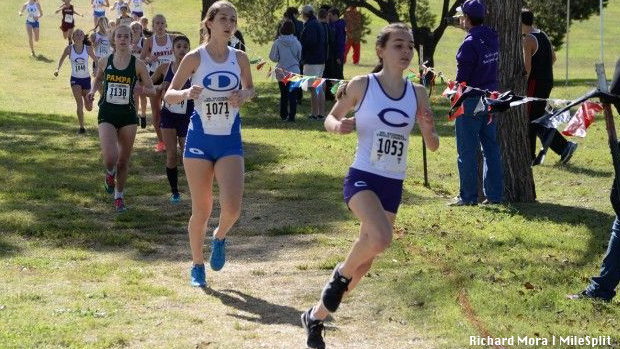 Of the top 50 girls 3200m times of 2018, the classes breakdown shows that while both the freshman and sophomore classes are strong, the junior and senior classes are still stronger and faster. The top 50 3200m times are made up by: Freshman - 6, Sophomore - 12, Junior - 15, and Senior - 17. The top 50 5K girls also shows a freshman representation, but a little stronger sophomore class as we would expect with last year's class. The junior and senior classes are still represented well with the seniors still show progression by having the largest representation. The top 50 5K girls are made up by: Freshman - 8, Sophomore - 13, Junior - 10, Senior - 19. When you consider this year's state meet, yes, there was a saturation of young runners. However, the medalists show a clearer representation of the true talent at the meet. The medalist of both the 3200m distance and the 5K distance shows where the quality of runners at the state meet really was. The top 60 medalist at the state meet make up : Freshman - 8, Sophomore - 13, Junior - 10, Senior - 19.